I just looked at my calendar a moment ago. A shiver went up my spine. 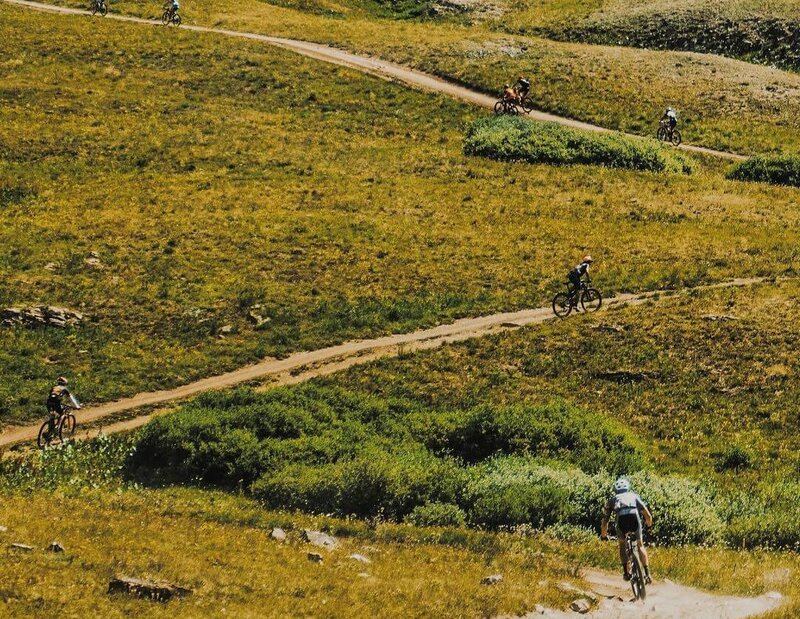 There are less than three weeks until Leadville 100. Hopefully by now you’ve sat your body down on your bike for many tens of hours and had some real-talk with it about what exactly you are going to put it through on August 11th. Aren’t I trying to make sure my body doesn’t let me down. What’s this about me not letting my body down? If the body and the mind are a team in a race like the Leadville 100 then it’s pretty obvious what role the body has to play, but what role does the mind have to play? The answer: The mind has to plan, think proactively, exercise discipline, and minimize stupidity. I’m pretty sure the vast majority of participants in the 100 are going to commit various acts of stupidity out on the race course. I know I will! Some athletes are gifted with big lungs, huge hearts, and massive quads. I’m gifted with race day stupidity. I consider myself an expert. I have learned much from decades of race stupidity and am thus able to dispense the following suggestions. These are things that you can do with your mind that will help your body have a great day out there in August. Go to bed! Many studies have been published on the effects sleep or lack thereof have on athletic performance. I have two jobs, three kids, and I have to train, so I have no time to read those studies, but I know them to be accurate. I know this because I’m that guy who is often still up at 2am on race day, August 11 mixing water bottles and checking tire pressure. I’m that guy who’s undermined countless race days over the years with lack of sleep. Your body can’t be at its physical best on less than about 8 hours of sleep. Why would you train for six months to reach your athletic peak at Leadville then throw away 5% of your potential athletic output on race day because you didn’t get enough sleep the night before? If you’re getting up at 4am for the start of the LT100 do yourself a favor and go to bed at 8pm the night before. Yes. That is difficult to do. So use your mind and plan ahead! On race day you should be fully prepped to roll out of bed, shimmy into your kit, slam some breakfast, and roll to the starting line – all with 8 hours of sleep in the bank. Practice your nutrition. I have a friend who volunteers for the emergency tent at the Leadville 100 run and he said that the dehydrated, hyponatremic, bonked athletes that he has to treat throughout the day are some of the more gruesome visuals in all of sports. This begs the question: Why is any adult human able to manage the massive logistics of getting into Leadville, training for it, traveling there, and toeing up at the starting line yet they are somehow unable to supply their body with enough water, calories, and electrolytes over the next six to twelve hours? I have a theory. I think that proper nutrition is mentally taxing and it is the first discipline that we give up on out on the race course when we feel tired. It is easy to feel horrible while racing and tell yourself that you will eat or drink in the next 10 minutes – and then keep pushing it out 10 more minutes – until you’re in the medical tent or balled up on the side of the course with cramps. Your body doesn’t particularly want to fuel up while out racing. Blood from our stomach is specifically re-routed to the heart and limbs during intense physical activity. This is your body trying to boss your mind around. Your mind has to be smarter than your body. Your mind must be disciplined enough to force your body to fuel consistently and regularly throughout the entire race. Practice this. Set a timer. Obey the timer. Do whatever it takes. Find a way to get approximately 230 calories and plenty of fluids into your body every hour of the race. I do this by tricking my body if I have to. I tend to stay away from solid foods at high intensity and I try to fuel with caloric liquids or gels during most of the race. It is much easier for me to gulp down calories than it is to chew them when on the edge of exhaustion. You won’t know what nutrition your body likes unless you practice and experiment. No one solution fits everyone. No single nutrition blog is going to be able to tell you what works for you. Experiment with nutrition while training. Develop a plan for what works. Execute the plan with relentless discipline on race day. Be kind to your body. Yes, we know that you’re body is going to be pushed extremely hard during the 100. But there is such a thing as pushing too hard or at the wrong time. Generally in sport we glorify mind over matter and pushing through our limits. I have another personal school of thought: Your true limits are limits because they can’t be pushed through. If you push your limits too hard they will push back. They may even punch back. Don’t fight your limits, respect them, work within them. I think that many novice to intermediate and even some advanced athletes push their bodies too hard at the wrong times in a race and they sabotage their overall result in the process. The idea of throttling back, listening closely to how your body feels, and saving something for later in the day is less popular but has been exceedingly valuable to me as a racer. My best results are always gradual builds up to race speed and my worst results are those where I sprint off the line, charge up the climb, and devastate my endurance engine in the process. My worst results are when I try to hang with a rider who is above my level and irreversibly exhaust myself in the process. If you are drafting a group of fast riders on the flats out to Twin Lakes and your heart rate is pegged, that is your body trying to tell you something. LISTEN TO YOUR BODY! “Hey mind, I know you are excited to be in this paceline rocking 26 miles per hour in the draft, but have you seen your heart rate? You’re at 190bpm. We both know I can’t hold 190bpm. Please slow down”. Conversations between your mind and your body only work if your mind and body are listening to each other. If you don’t listen to your body then your mind will let emotions or exhaustion get the better of you. If you don’t listen to your mind then your body will guide you towards un-disciplined short sighted actions. I hope everyone finds that mind / body balance out there on August 11th. Remember, You and You are a team! Act like one. Stephen Fitzgerald is an endurance racer with over two decades of stupidity to his credit. Take his advice with a grain of salt. That said, knowledge gained through trial and error has guided him to multiple state championship cycling titles in MTB, road, and cyclocross. He has also won his category at Dirty Kanza in 2016 and finished Leadville 100 sub 8:30 in 2013. Stephen lives in Denver, Colorado with his wife and three kids and runs both Rodeo Adventure Labs, a cycling company, and Trailnuggets, and energy bar company. Yup, the Leadville Trail 100 BIke Ride could be a real bear. But it could be much worse, you could be running the entire 100 miles on foot without the benefit of two wheels to speed you to the finish. Just saying. Nevertheless, Godspeed and have a great race. This was a terrific article, entertaining and helpful!